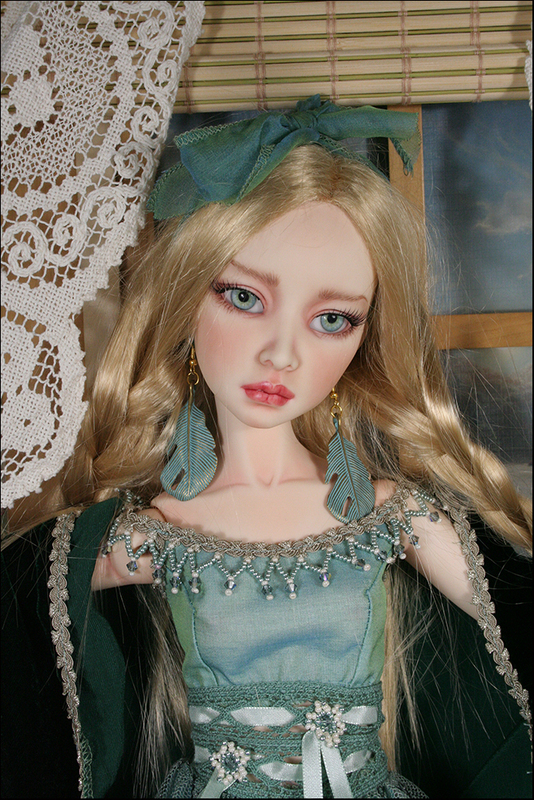 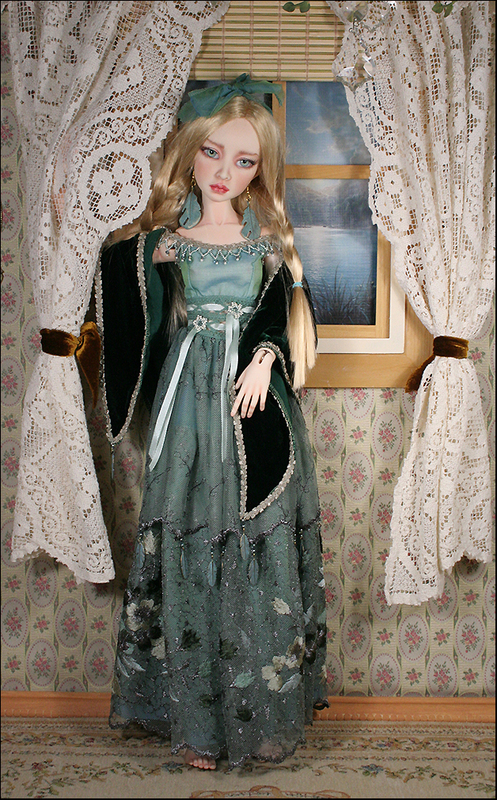 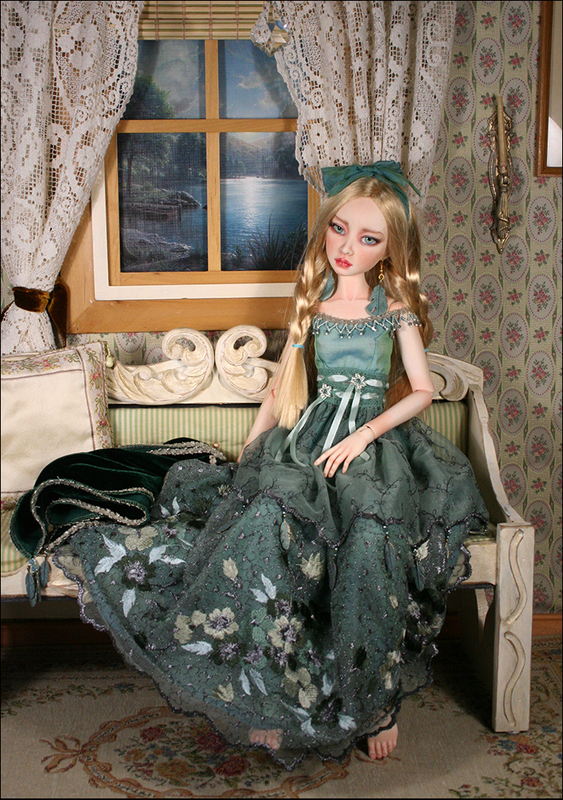 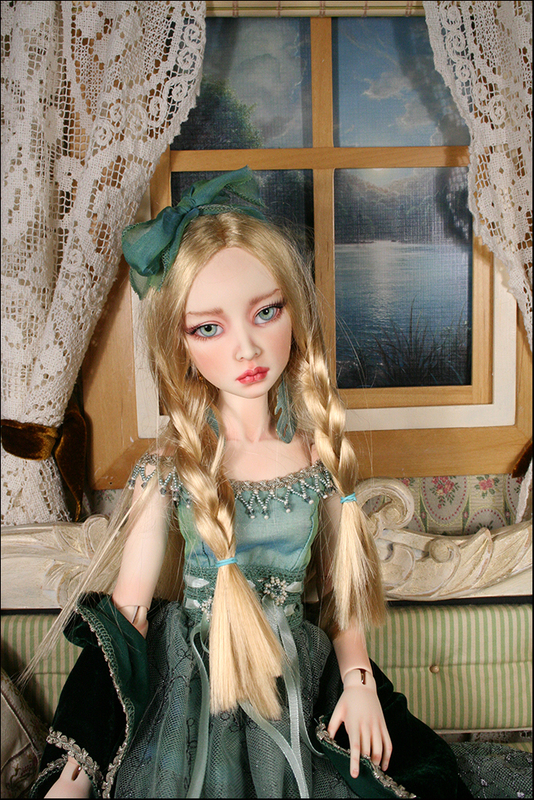 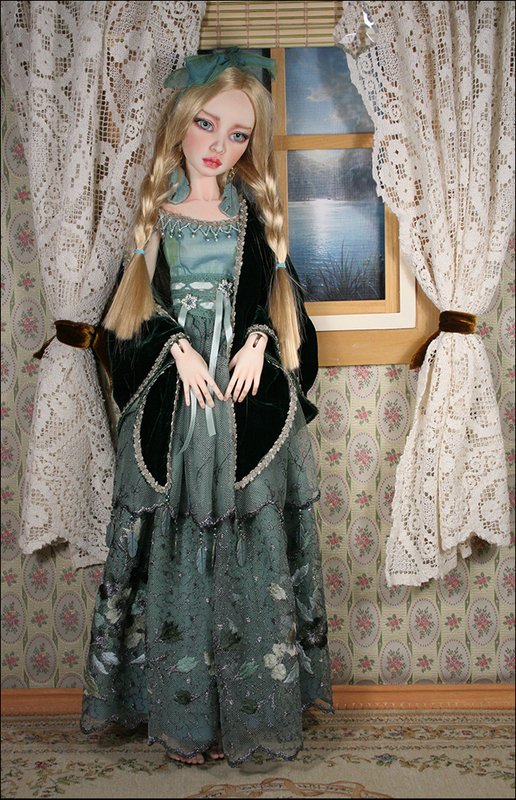 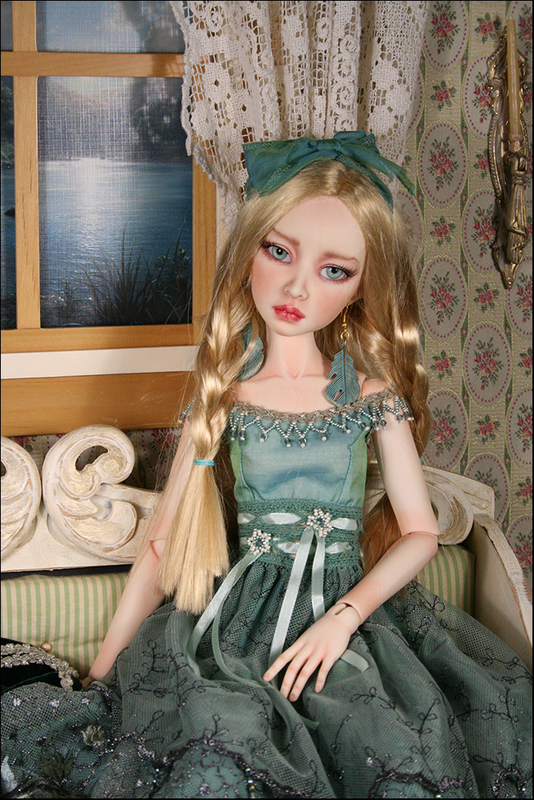 This doll will be for sale Saturday -Oct.1 at 3:00 pm EST. 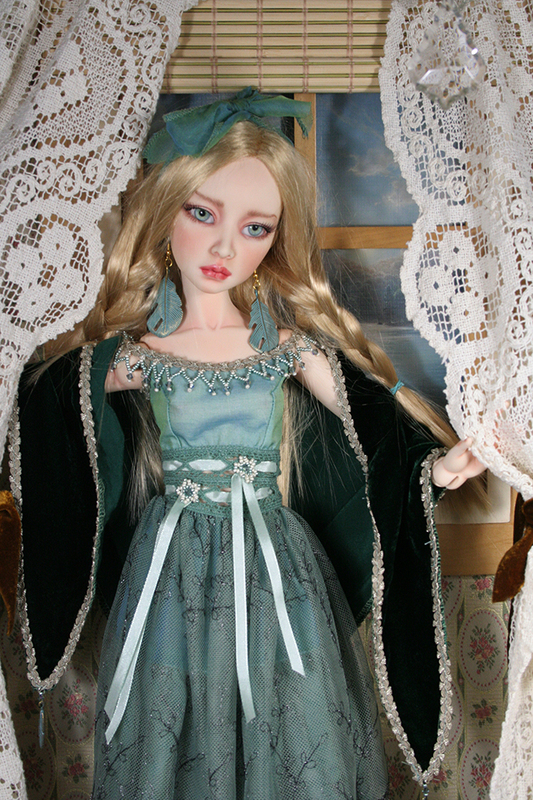 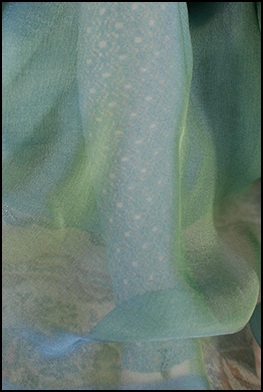 Lissa's dress has a lace netting skirt with a shot silk chiffon lining. 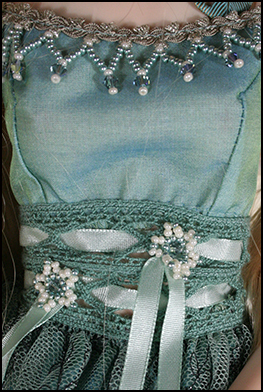 The neckline is trimmed with beadwork (glass beads and crystals) . 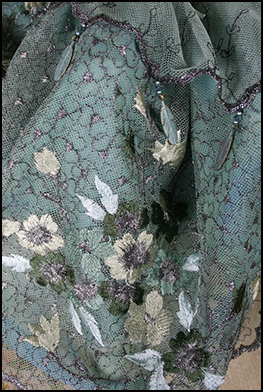 The waist is cotton lace threaded with ribbon and has a a beaded flower detai. 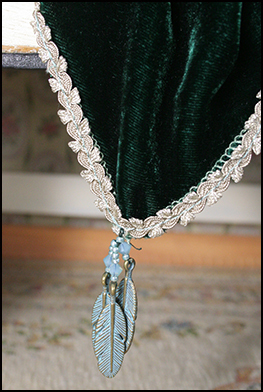 She wears a silk velvet wrap which is trimmed with metallic braid and metal feathers. 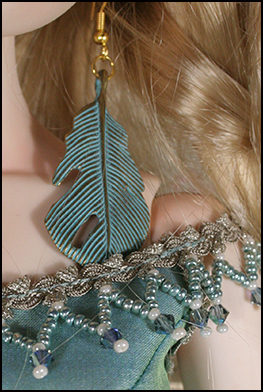 Her earings are metallic feathers. 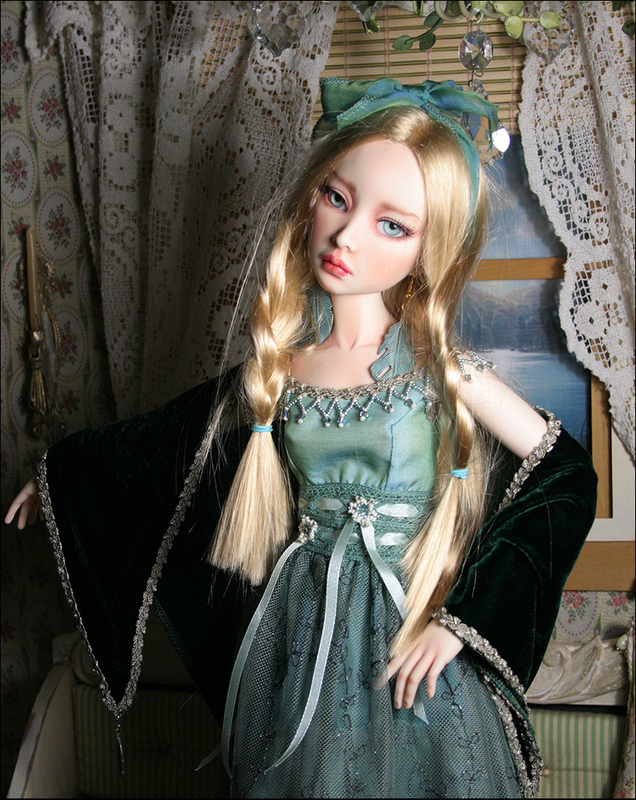 Her hair ribbon is silk chiffon. 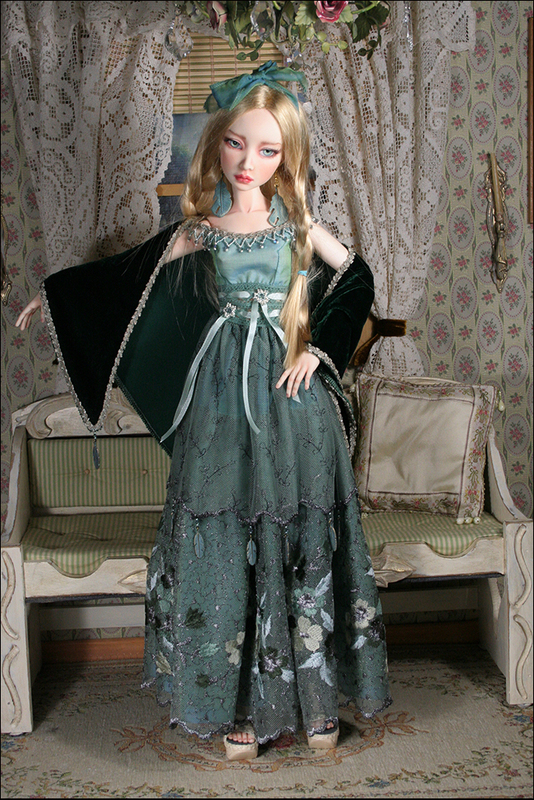 Her eyes are "Eyeco-Platinum Series", her wig is "Monique Gold" and her sandals were handmade by KZShoes- (ribbon with polymer clay heels).